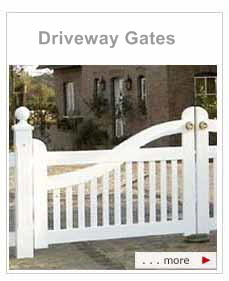 Garden Gates, Wooden Gates, Double Gates, Entrance Gates, Driveway Gates, White Garden Gates - bespoken manufactured in germany. Fabulous Hardwood Gates with 25 years quarantee ! 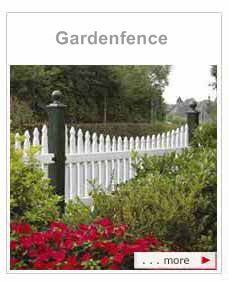 Weatherproof Garden Gates wooden, white painted - 25 years warranty. Peters + Peters is the leading German manufacturer of wooden painted garden gates. We produce exclusive wooden garden gates, weatherproof outdoor furniture and Friesian benches, high-quality balcony railings, decorative privacy fences and attractive garbage storage boxes made of hardwood, painted white or in a lovely Sylt-style colour (Sylt - German island). On all our painted products we grant a 25- year garantee against rotting. We attach great importance to high-quality workmanship and best functionality when developing and producing our Friesian gates. All our wooden garden gates (entrance and driveway) Friesian fences, garden benches, outdoor furniture and garbage bin storage boxes are absolutely weatherproof - we quarantee for the colour adherence of the paint (IROPUR-2K) for at least seven years without any limitation. For every wooden garden gate or driveway gate we produce for you, we only use the precious ODUM- IROKO hardwood - wich is extremly durable and well known for its ability to withstand any weather without chemical impregnation for a long period of time. Specifically for the IROKO hardwood, we have developed the IROPUR-2K painting system. For over 25 years now, this high-quality painting sytem has been satisfying the customers. This unique painting sytem, for which we are the sole manufacturer, is available in white, blue, green, mahagony, teak and every other RAL colours. 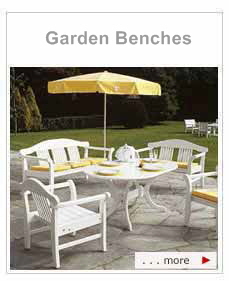 Installing your personal garden fence or garden gate requires a lot of special diligence. You expect the Entrance Gate to match your property - the double gate has to have the width of your driveway, the height of the garden gate has to be adjustable and all the fence elements should be arranged evenly along the site boundary. We can fulfill your requirements - the moment you order your individual garden gate or garden fence our craftsmen start working on it, only following your exact wishes and preferences. As there is no contact spacing, you are not forced into a measure compromise. We will glady manufacture a new wooden garden gate or fence for you too. Just send us a sketch of your property either via post, mail or fax and we will prepare a detailed quotation for you including the range of products, a site plan and a descriptive outlinedrawing. We will be pleases to advise you - just contact us!